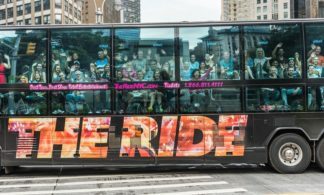 You will receive an email confirmation with an attached voucher which you can present directly to THE RIDE bus. 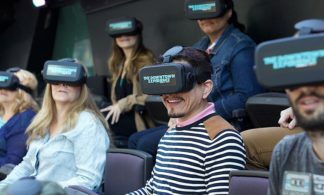 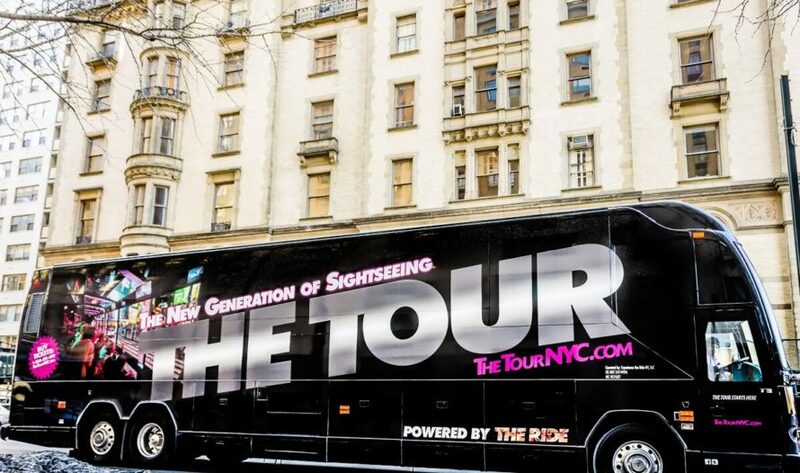 THE TOUR is powered by THE RIDE’s patented window faced seated coaches equipped with 40 flat screen monitors, 3,000 LED lights and surround sound. 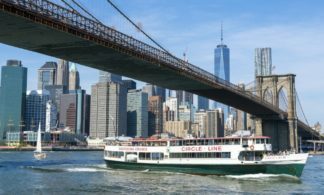 A licensed navigator on board THE TOUR will introduce you to the past, present and future of New York’s most iconic neighborhoods and landmarks including Times Square, Lincoln Center, Columbus Circle, and the Empire State Building, to name a few – with some exciting interactive surprises along the way. 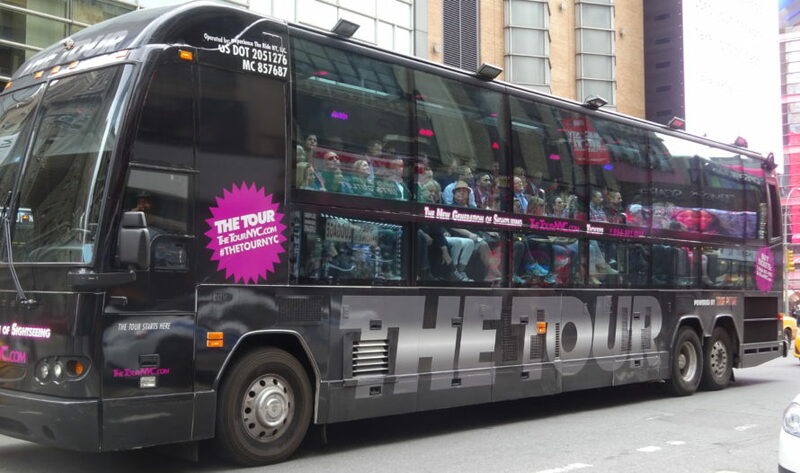 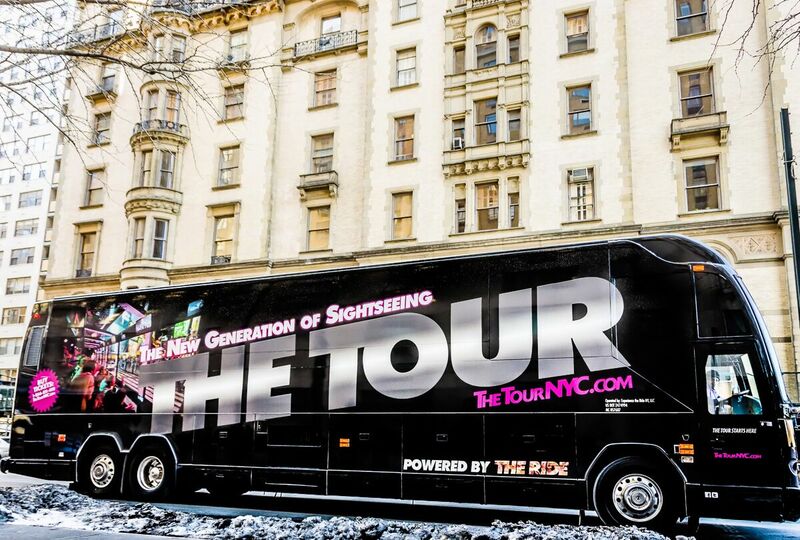 THE TOUR is the new generation of sightseeing. 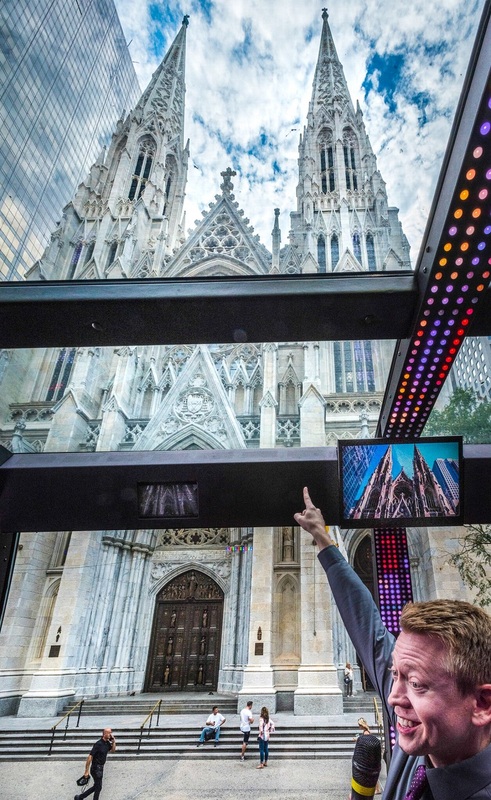 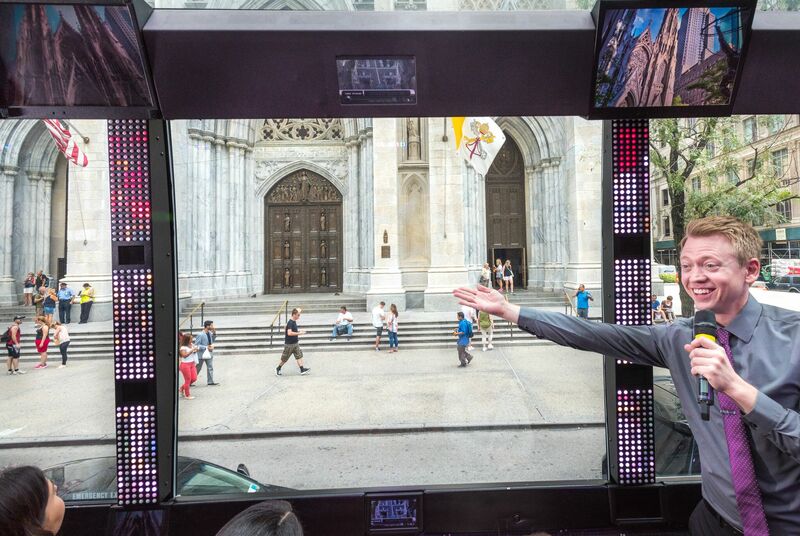 Discover the Past, Present and Future of NYC on this Unique Sightseeing Adventure! 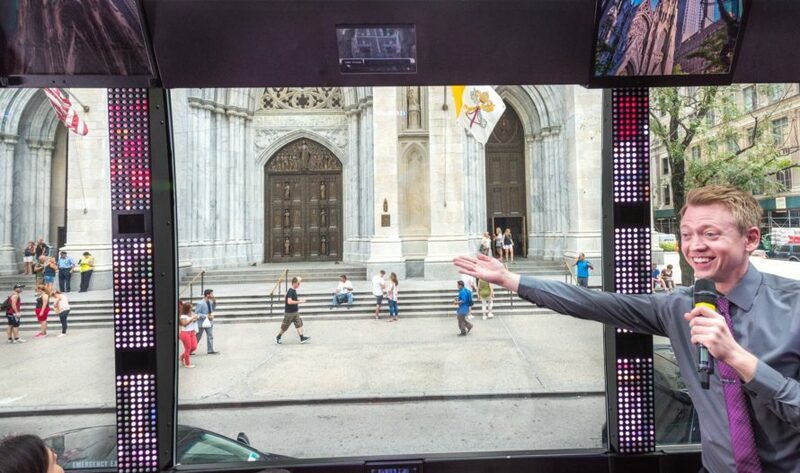 See the sighs of famous movies, TV Shows & more on the coolest bus in town! 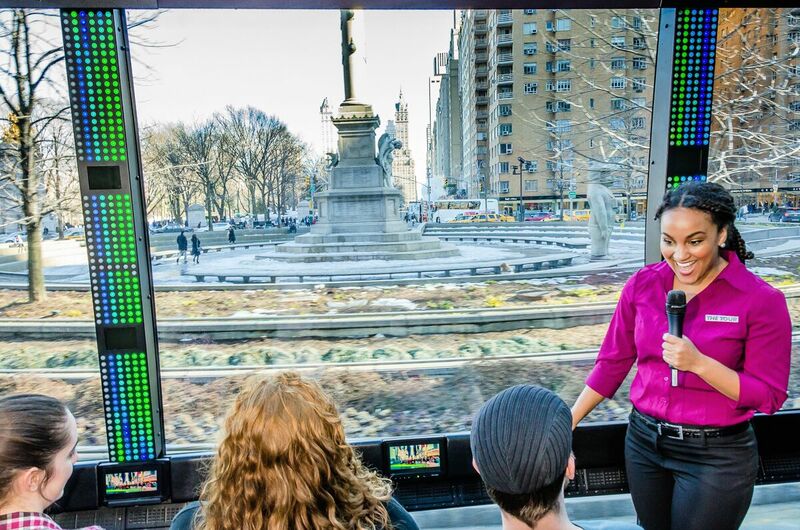 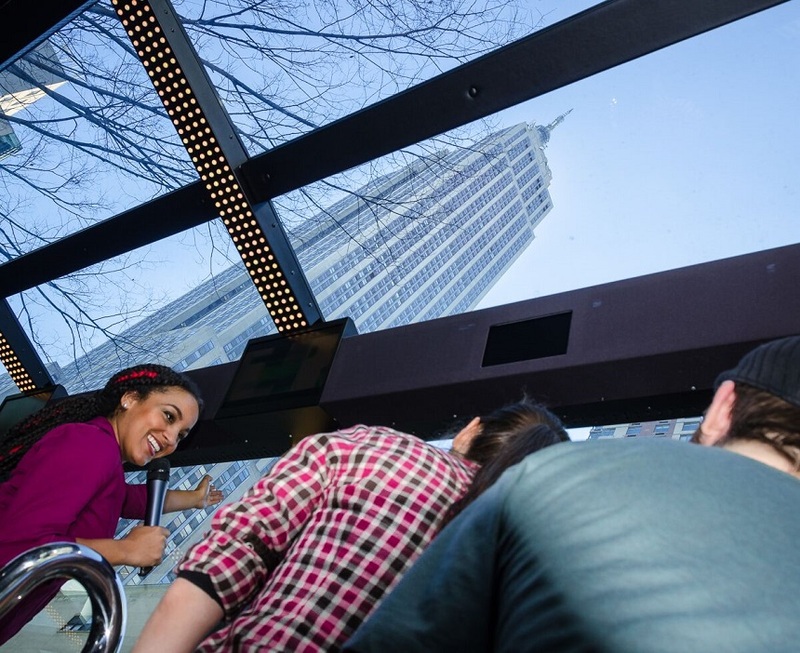 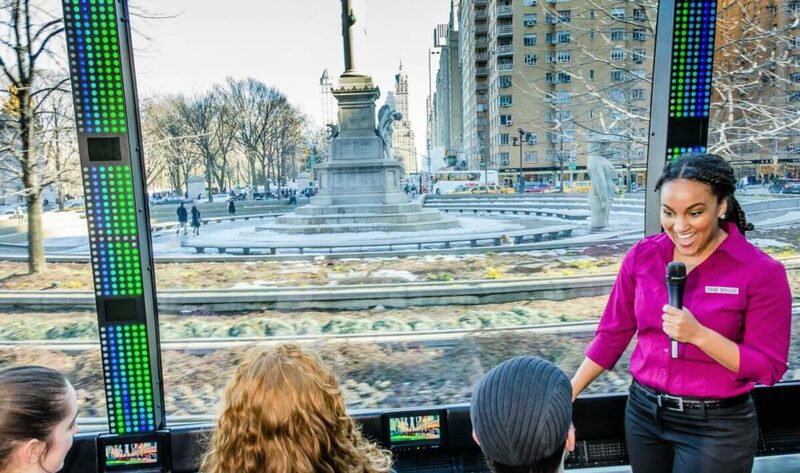 90-minute immersive multimedia sightseeing tour of Midtown Manhattan & Upper West Side. 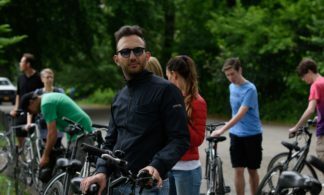 Guided by a licensed Tour Navigator. 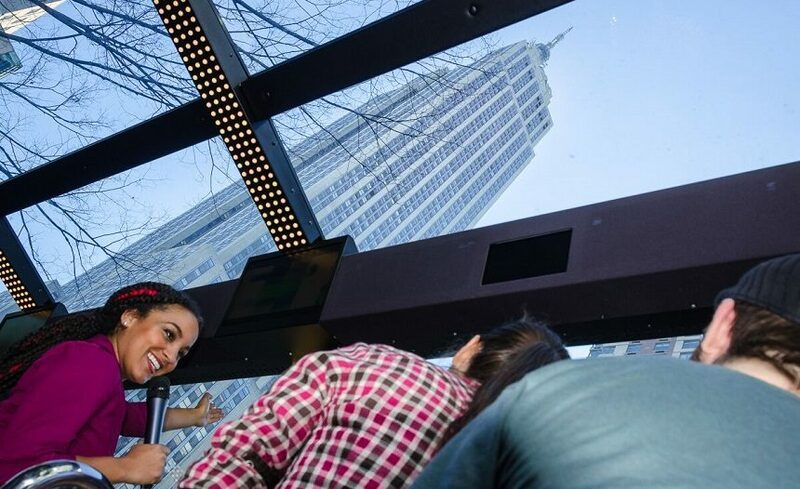 Theater-style, side facing seating & floor-to-ceiling glass windows with panoramic views. 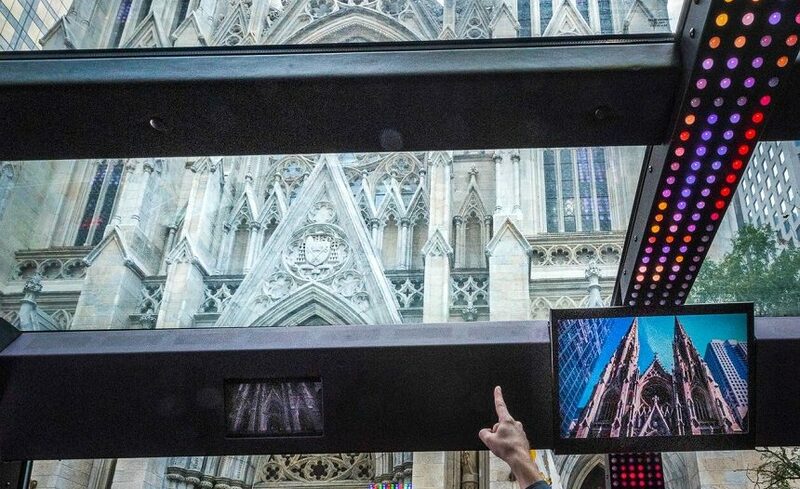 Advanced audio/visual technology including 40 LCD TV screens showing footage of the past, present and future of NYC, unfolding right before your eyes. 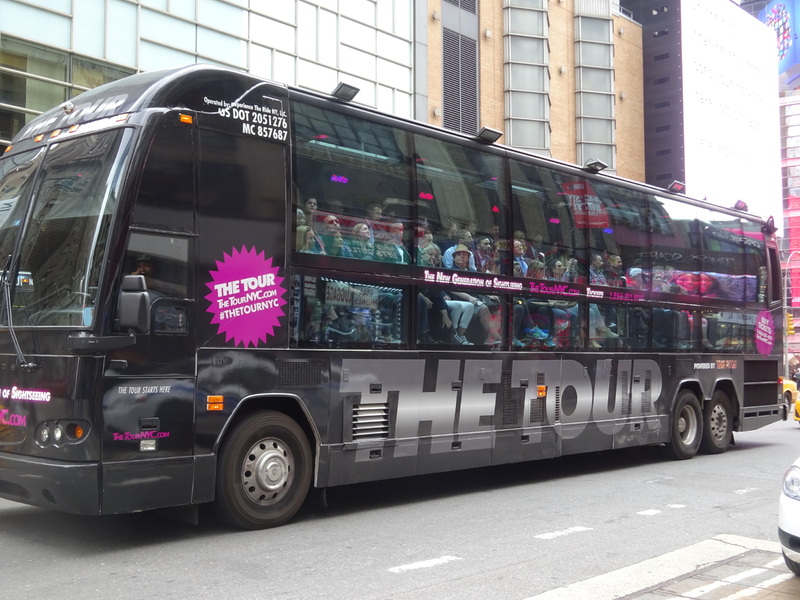 Featuring over 10 NYC neighborhoods and over 50 NYC iconic landmarks such as Broadway, Hell’s Kitchen, Columbus Circle, Lincoln Center, The Dakota, Central Park, Times Square, Garment District, Koreatown, Empire State Building, Chrysler Building, New York Public Library, Bryant Park and more!